Kind of cute! 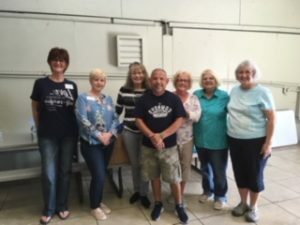 Bonnie’s victim services team! 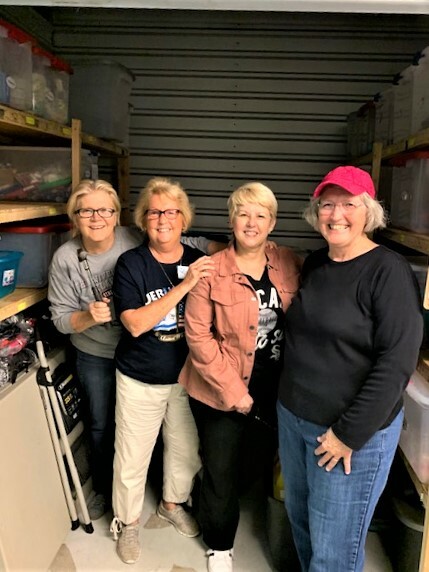 L to R: Sharon from the storage unit volunteered her time, Bonnie Doll, Victim Services Chair, Barb Mosley, volunteer, and Linda Bennington, volunteer. The Wonder Gals! 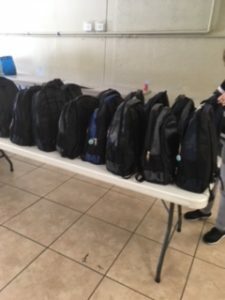 – they moved all the back pack items from one storage into a new air conditioned one this morning. Amazing. 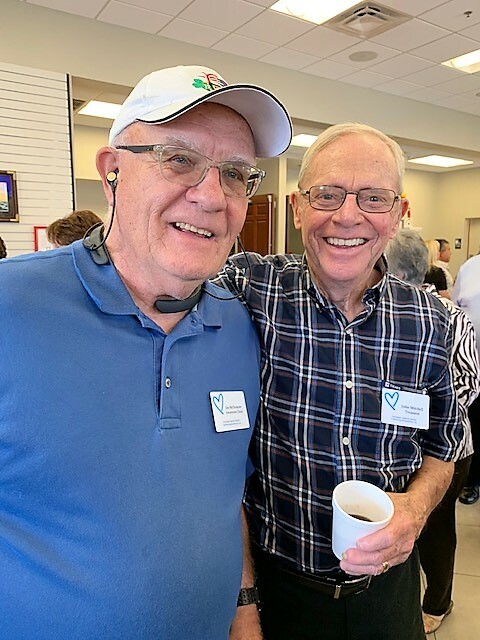 Board Members Jim McDermott and John Mitchell volunteering at recent United Methodist Church’s Ministries Fair. 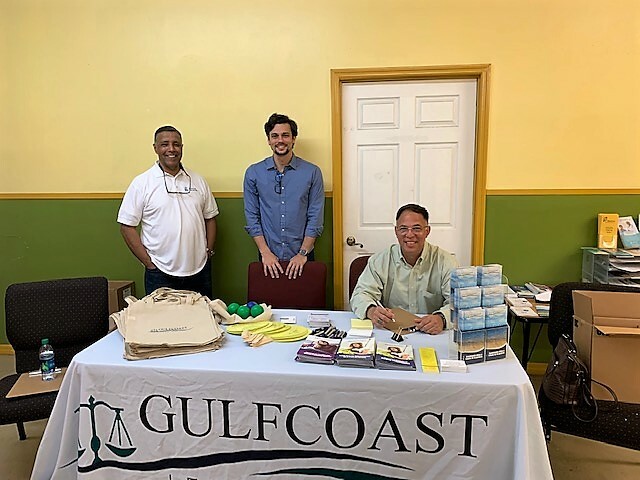 Gulfcoast Legal Services held their first free clinic a, Tuesday, Feb 19, at their new location at Beth El, Wimauma. Over 15 individuals and families came to discuss family issues, their rights, immigration and domestic violence issues. 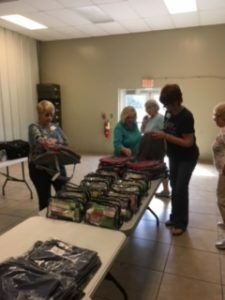 CAHT has provided funding and volunteer support. Photo: Smaili Constantino, Nelson M. Camario and Cesar Jvarbe, members of the legal team. Chair and vice chair: Bonnie Doll and Linda Bennington.